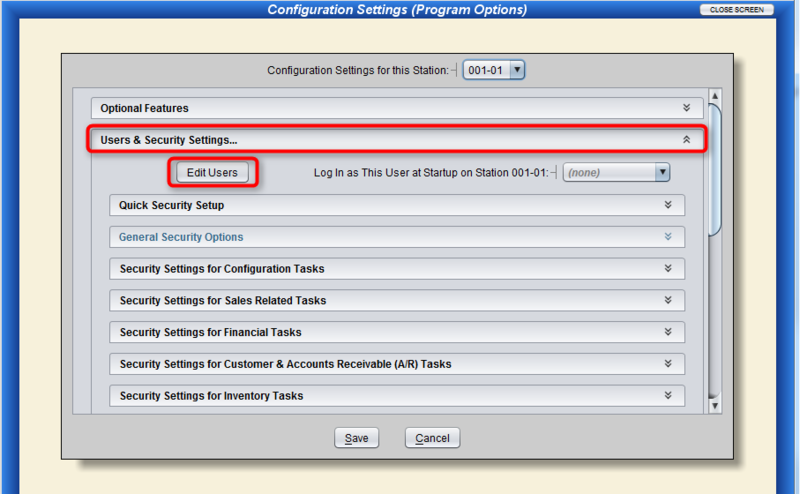 Before having the option of adding any additional Users, you will need to log in and have authorization to create new ones. After logging in, you will have access to tools on the menu bar across the top of your Artisan window. 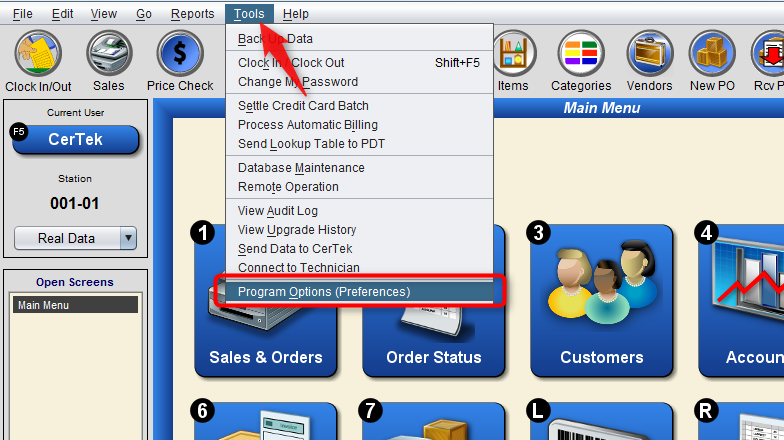 Select tools then you will want to select Program Options, which will open a new pop-up window for configuration. Select Users & Security Settings… and then Edit Users. Upon opening Edit Users, you will see a few options as well as some new buttons along the bottom of this window. 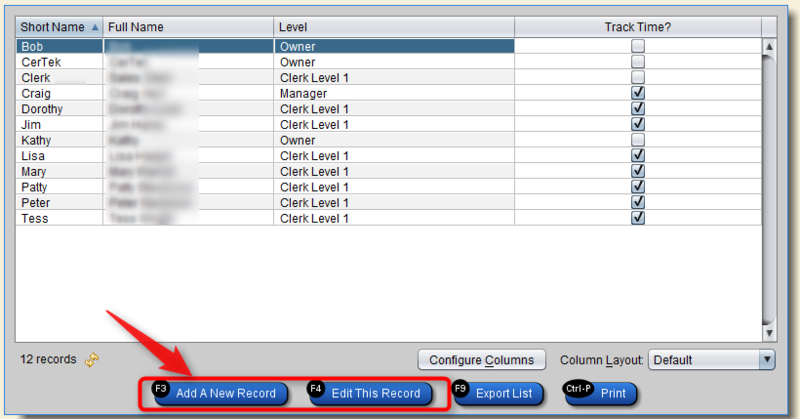 Creating a new User is as simple as selecting Add A New Record on the bottom and filling out the Basic Info tab. One thing that is very important is making sure that you select the proper Authorization Level for this new User. There are several field you many need, here is an explanation of what each of the do. Password: Case-Sensitive. Any combinations of uppercase or lowercase letters, numbers, symbols. Menu Order: Defaulted to 80. This will be the order users will appear on the log in and clock in/out screen. If all users are set to same menu order then they will sort alphabetically. Include in Detailed Sales Report? : Yes/No. This will include the sales the user does on the Detailed Sales Report where user names are shown. Track Time Worked? : Yes/No. This will enable the user to clock in/out and keep track time worked. Time Clock Only? : Yes/No. 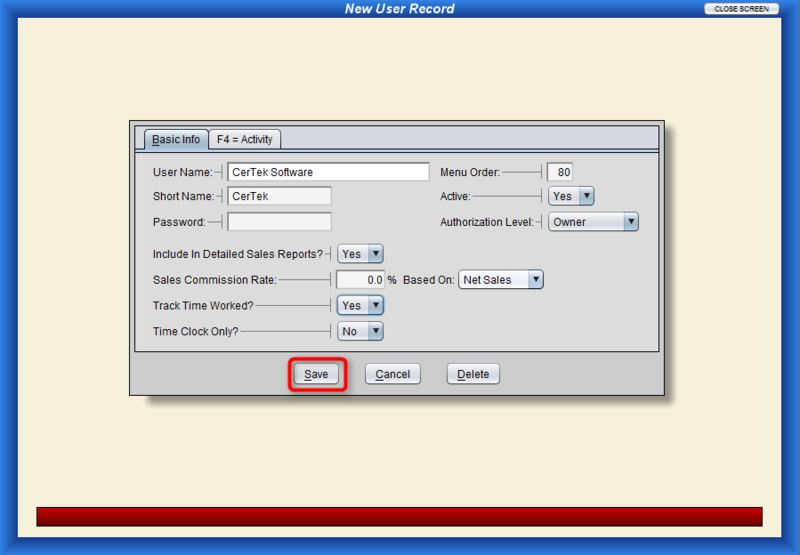 This will create a user only to use the Time Clock feature. This user will not be able to use Artisan for any task other than just clocking IN/OUT.